The U.S. granted 10,258 L-series visas to Chinese workers and their family members in 2015, more than four times the number approved in 2005, according to an analysis of government data by CNNMoney. The L-1 visa allows companies with U.S. and foreign operations to move staff to America. The opportunity for employees to bring their families over is considered a bonus. Chinese firms have been on a shopping spree in recent years, spending $17 billion last year alone on 120 deals and investments in the U.S., according to data from Dealogic. This year is turning out to be even bigger -- they've already spent $29.4 billion, and there's no end in sight. 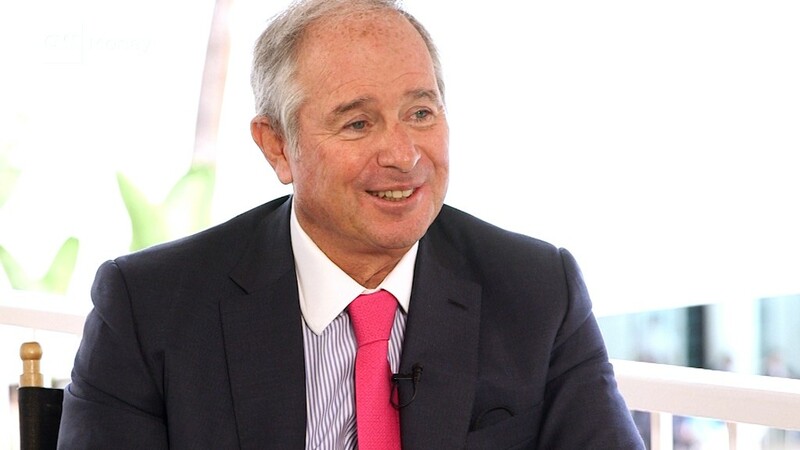 In many instances, Chinese firms are choosing to staff up in America with their own people, said Ron Klasko, a managing partner at Klasko Immigration Law Partners in the U.S. Many Chinese are interested in finding a ticket out of China, and they've overwhelmed visa programs in the U.S. and other countries. Getting a green card or work visa is one way of escaping heavy pollution, gaining access to better education for their children, and avoiding political and economic turmoil in the country. The U.S. State Department announced in recent months that it would soon stop taking applications for some types of visas from Chinese this year as the numbers have hit annual quotas. One category affected is the EB-1 visa, which aims to help people with extraordinary abilities work in the U.S.
Another visa, the popular EB-5 immigrant investor program, has also been closed to Chinese in the past due to high demand. It grants residency to foreigners who invest at least $500,000 in the U.S. 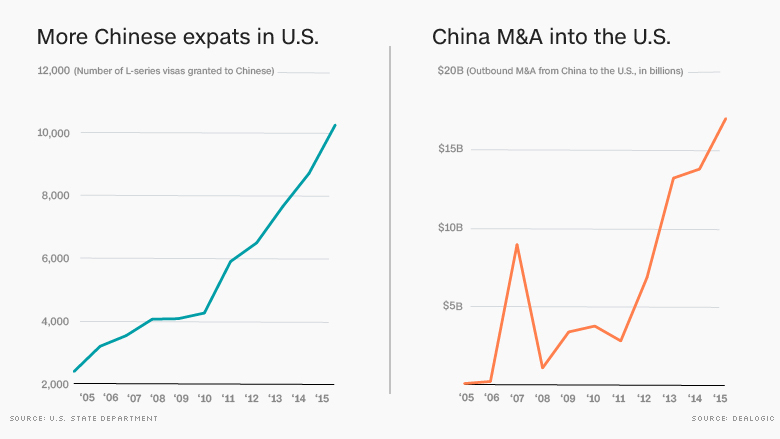 The number of visas granted annually to Chinese under the investor program has increased from a few dozen a decade ago to 8,156 in 2015, accounting for 85% of the total issued, according to government data compiled by CNNMoney. "We expect it will continue to increase," said Klasko, who said investors are piling in now in advance of expected changes to the program. The controversial EB-5 has been criticized as a way for the rich to buy their way into America. But supporters say it draws vital investment dollars to the U.S. Still, a series of scandals over mismanaged investments have led U.S. lawmakers to call for greater transparency and accountability, essentially making it harder for Chinese to gain access.